Jaja Santiago and import Courtney Felinski came through with clutch hits while Maika Ortiz asserted veteran presence for the two-time champion Tornadoes, who came into the quarterfinals as the seventh seed, but is now one game away from shocking second-seed Cargo Movers. Game 2 of their quarterfinals encounter is set on Thursday with the winner clashing with the survivor of the other quarterfinal battle featuring PLDT Home Fibr and Generika-Ayala. 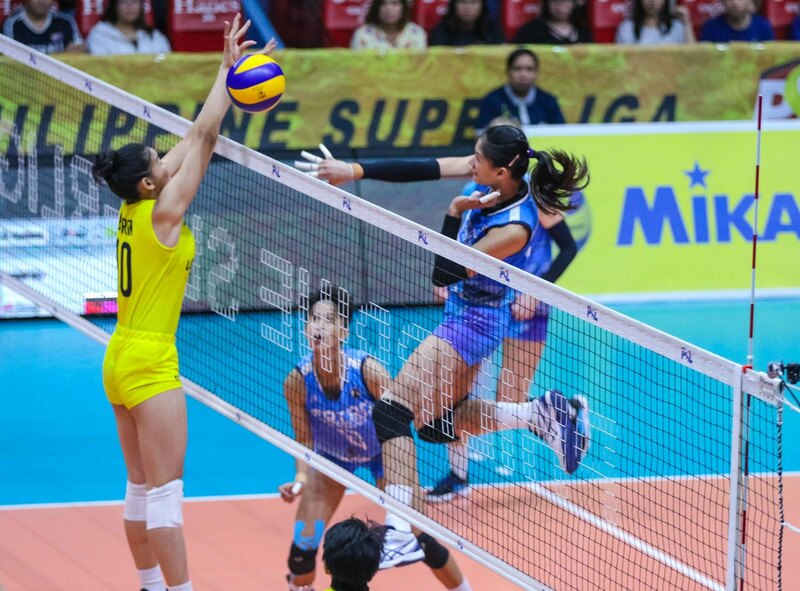 “It’s a big win for us, especially coming off an 11-game losing streak and now we still have the chance for the semifinals,” said Foton coach Aaron Velez. MJ Perez finished with 26 points while Lindsay Stalzer had 24 and Ara Galang chipped in 15 for the Cargo Movers, who finished the double-round preliminaries with an 11-3 win-loss mark.